Matt Murphy is all about competition. Over the past three years, whether in a ring or a cage, Murphy has kept it coming. In 2015, he strung together six professional MMA fights. In 2016, another five MMA bouts along with eight pro boxing matches. This year, while pumping the brakes in MMA, he's fought 15 times in boxing, traveling to Los Angeles (twice), Philadelphia, and Baltimore among others. He's fought for Bellator and the RFA, and on Friday he returns to action for Shamrock FC as part of the main card at the River City Casino against a dangerous striker in Joe Mueller. Mueller will be making his MMA debut, but he, much like Murphy (6-8), has a wealth of experience, mostly in the Muay Thai and K-1 arenas. Mueller will have to deal with Murphy's aggressive, push-forward style. "I'm not afraid to get hit in the face," Murphy said. "I'm not afraid to take one to give one." Murphy has trained for Mueller at a variety of locations. Not only has he put in rounds at his home gym, the Academy of Courage, but also at the Wolves Den, boxing in East St. Louis and putting in time with the East St. Louis wrestling team at the Jackie Joyner Kersee Foundation. "This is not the first time (Mueller's) name has popped up on my radar," Murphy said. "He's been somebody that I have looked at and knew that he could throw his hands. Eventually, I thought I would end up fighting him." Murphy believes that Mueller's cage inexperience will work to his advantage, especially early on. "With him not even having an amateur fight he has not got a feel for things, and I think he will come out like I first did and it will take awhile to get used to it," he said. "When someone holds you down and is striking down on top of you, it's different. I know he's been doing BJJ tournaments but that only helps so much." Murphy is obviously aware and cognizant of Mueller's ability to come crashing down with his plethora of striking options. "You can't help but respect his Muay Thai, but this is not Muay Thai," Murphy said. "Eventually we will meet with someone's back on the mat, and it's not going to be mine. Joe is a competitor. He's tough. He knows what it is to be an athlete and in high-level competition." The 25-year-old Murphy grew up in East St. Louis and started boxing in elementary school. 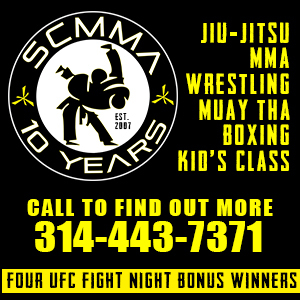 He took his first MMA fight the same year he graduated high school, 2011, and the race was on. "I took a few fights in Nowhere, Illinois," Murphy said. "I'm pretty sure some of them weren't even sanctioned." Murphy eventually made his way to the Hit Squad gym. Murphy was taken under the wing by coaches Moses Flores and Lucas Lopes and by teammate Aushton Midkiff. "I was searching for wider knowledge about combat," Murphy said. Murphy built a reputation and earned the nickname of the 'KO Kid' for his early success in MMA. But as the competition stiffened and his reputation grew, the KO's slowed down. "I hit that wall as far as the ground aspect," Murphy said. "It took me a minute, and a few loses and it was all due to the same thing. It's something I never forgot to this day." Murphy made his pro boxing debut 2015, and though his record is not the most spectacular, he's been willing to challenge himself time and time again against more noteworthy opponents. "When I started off in boxing I took a few 'Ls' and once that happens it's like you are playing catch-up your entire career," Murphy said. "I consider myself a measuring stick for some of these boxers. When you are fighting me in the ring or the cage, it's never easy. I'm going to give 110-percent even if you think I'm going to lose." His ups and downs in both the ring and the cage have left him with something of a chip on his shoulder. He would love nothing more than to prove all of the naysayers wrong with another mark in the win column. 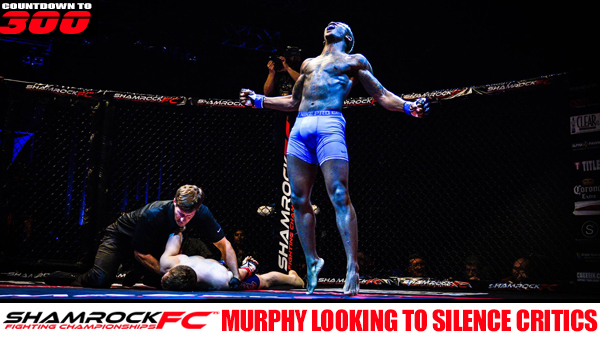 "People take me as a joke or underestimate me in MMA, and this is my chance to show everybody that I am one not to be underestimated," Murphy said. "I'm going for everything they said I couldn't have. I will show people that I am going to be where I need to be. This is that first step going up."